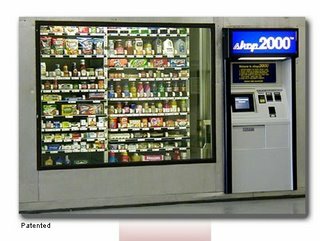 Today, I stumbled across a roboshop - a Shop 2000 vending machine that dispensed regular groceries. 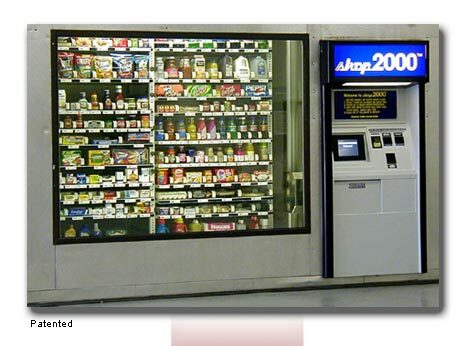 Apparently, the machine was tested in Washington back in 2002 and was even listed as one of the best inventions of the year by Time, but I don't know what happened after that. Perhaps it was too big for most locations, but I love the idea. I think we should have a vending machine that sells ads.